macOS Server will focus on device management. Apple has confirmed plans to drop a number of big network services from macOS Server this year. 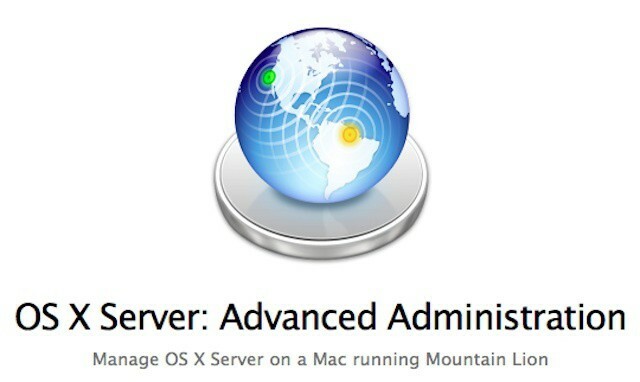 Advanced Admin Guide for Mountain Lion Server confirms Server Admin & Workgroup Manager aren't included. 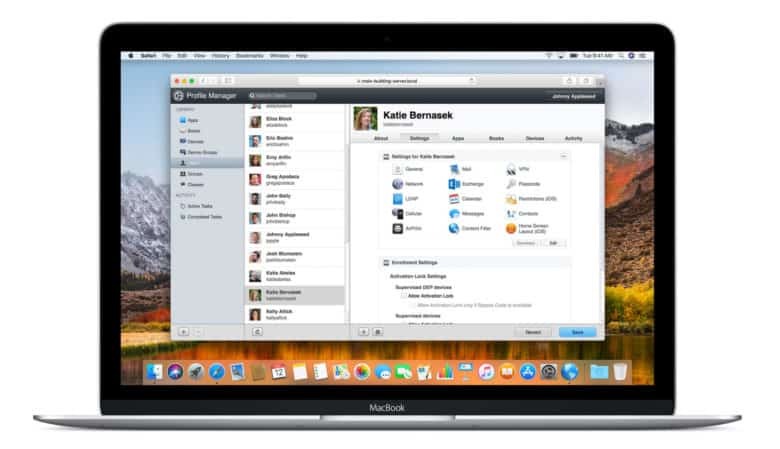 Mountain Lion Server is the final chapter in Apple’s march from the enterprise data center – a march that started five years ago when Apple introduced a simplified management interface for small business as part of Leopard Server. The first sure sign that Apple had decided to tailor its server platform only for smaller organizations came with the cancellation of the Xserve. 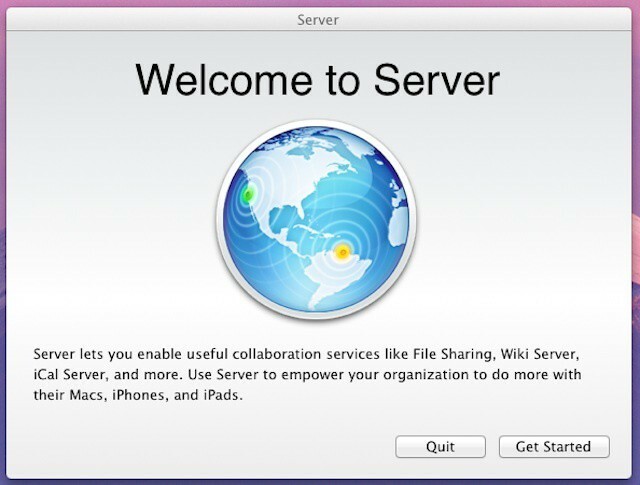 To experienced OS X Server administrators, Lion Server looked like a patched together product that still had much of its former enterprise capabilities but with advanced administration tools that had been gutted like a fish. All of which pointed to Apple moving forward with its narrower focus and a simplified management app call simply Server. Is this the Xserve replacement Mac IT pros have been hoping for? Apple’s decision to cancel the Xserve unleashed a range of questions and concerns from Mac IT professionals. The Xserve was the best Mac server option that Apple had ever created and its 1U rackmount design was a perfect fit for any server closet or data center. 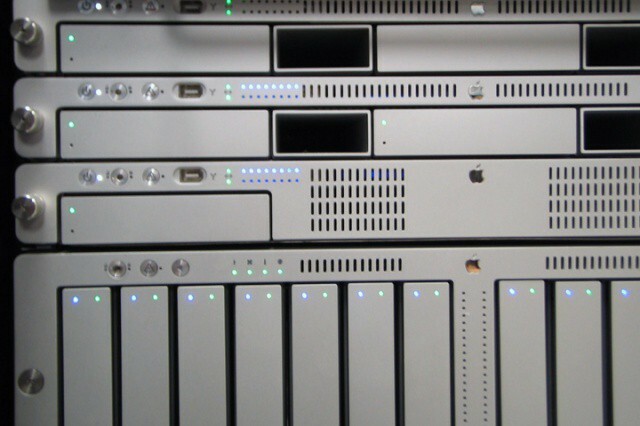 The Xserve delivered a tremendous amount of power and flexibility including fibre channel connectivity – a key feature for managing Apple’s Xsan storage system. Apple positioned the Mac Pro and Mac mini Server as alternate server machines, neither of which deliver the same combination of power, expansion flexibility, and standard network rackmount options as the Xserve. Despite complaints from enterprise customers about the demise of the Xserve, it’s a forgone conclusion at this point that Apple will never revive it. Mac upgrade and peripheral maker Sonnet Technologies, however, may just have created a true Xserve replacement. 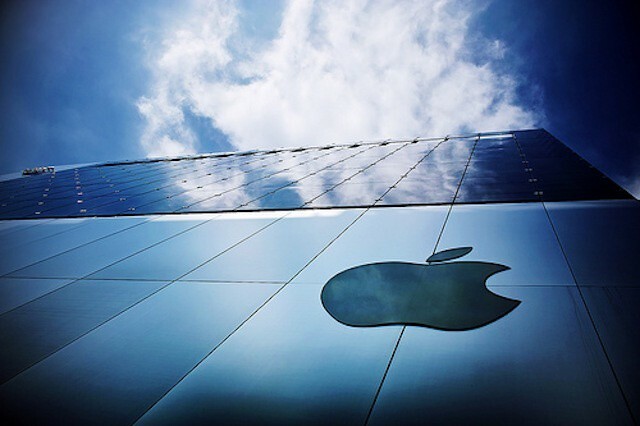 Apple uses digital certificates and code signing in various ways to help keep Macs secure. One common example is that apps sold through the Mac App Store are digitally signed, which allows an individual Mac to know that it’s getting the genuine article when a user launches the App Store app. It also allows a Mac to ensure that an application hasn’t been tampered with by a malicious user or a piece of malware each time that app is launched (Mountain Lion’s Gatekeeper feature will be based on the same technology). The same process is used with Apple’s Software Update servers. Each update from Apple is digitally signed using a certificate that let’s each Mac know that they’re getting genuine updates from Apple. Digital certificates are designed to expire periodically and tomorrow, March 23, 2012, the certificate associated with Apple’s Software Update functionality will be expiring. Apple already has a new certificate ready that won’t expire for seven more years (2019). The transition to the certificate will be transparent for almost all Mac users, but it may create problems with some OS X Server installations. Some arguments about Apple never seem die despite the fact that reality has moved on. Arguments like the Mac not being compatible with Windows file sharing or disk formats and that all Apple products being inherently more expensive than any competitors. This morning, Computerworld’s Preston Gralla pulled several of these outdated arguments together to support his opinion that Apple would never unseat Microsoft in the enterprise. Virtually every argument in this piece is easy to debunk with facts. What’s more important than responding to these outdated myths, however, is realizing that Apple doesn’t want to unseat Microsoft from its current place in the enterprise. Microsoft is actually doing a lot of enterprise heavy lifting for Apple. With the death of the venerable XServe blade server at the beginning of last year, Apple has essentially abandoned the market for corporate servers. If you want to run a Mac server, Apple recommends the Mac mini with Lion Server, which is only really a viable option for small businesses. 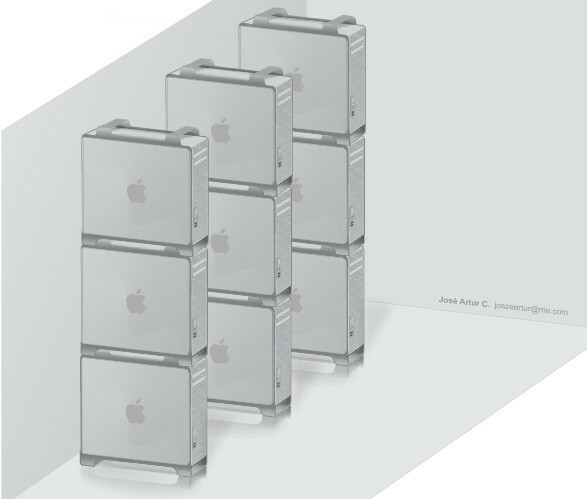 Over at MacMagazine, reader Joseph Arthur had a great idea: why not redesign the Mac Pro slightly so they are stackable? It’s a cute idea, and I get a kick out of the visual, but two problems: the Mac Pro looks like it’ll be killed off sooner rather than later, and the Mac Pro solution leads to the same problem the Mac mini solution had, in that centers can’t fit the machines in their existing blade racks. Still, pretty ingenious. If you’re a network administrator in love with the svelte, stackable design of Apple’s Xserve line, you’d better stock up: Apple has announced that they will be discontinuing the Xserve line starting January 31st, 2011.